Here is the Gazette version of the La Presse article I published at the beginning of the week. It is an interesting example of how two newspapers took the same study and put their own spin on it. The La Presse article leaves you with the feeling that we are all doomed- that the iPad is only a distraction factory and that the state of education is crumbling before our techno-blurred eyes. The Gazette article chooses to emphasize the benefits of the iPad and everything it can do, while sandwiching the distraction between the benefits of the iPad and ways teachers are finding to negotiate their students’ distraction. Thierry Karsenti remembers the intense look in the young girl’s eyes when he moved to take her iPad away. “My Precious!” she said, Gollum-like, clutching the tablet to her chest. I found the article below intriguing for several reasons. First, the idea of creating a digital portfolio of their work that spans their career at the school- is that possible in a high school? My daughters did this with their reading journal in elementary school- they have a nice booklet with the books they read from grade 1 to grade 6. Wouldn’t it be cool f they had a collection of the creative writing they are most proud of? 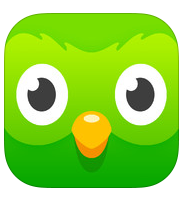 I was also intrigued by the author, Holly Clark’s stance on why she doesn’t use avatars when putting her students’ work online (though she does not publish the last name-she is an elementary teacher). She makes the excellent point that students need to be accountable for what they put on line. If we teach them at an early age to hide their real identities behind avatars, what are we telling them? She also gives some practical guidelines on how she uses mostly google products (google drive, forms and sites) for her workflow. However, there are many ways students cash create a wonderful , innovative portfolio for themselves. Book creator, iBook, a presentation app all come to mind. Last week on the Connected Student Series, I discussed the ‘why’ of digital portfolios. It is imperative that in 2014, students be able to curate, archive and expand on the work they are producing in class. One last article in honour of Computer Science Week! There are a lot of people out there looking to hire someone who knows how to code. These web resources should get you on your way! In honour of Computer Science Week I thought I would talk a little about my own personal journey with coding. The decision to try and learn to code was something I had been thinking of for about a year now. It was always in conjunction with what I saw as a growing need for our children to learn how to program ( or at least to understand the basics of coding) and a moral imperative to put my money where my mouth was. But in order to begin, I had to let go of some preconceived notions. Myth #1: I am not good at math. Now I was one of those shy kids who didn’t understand math right off the bat. 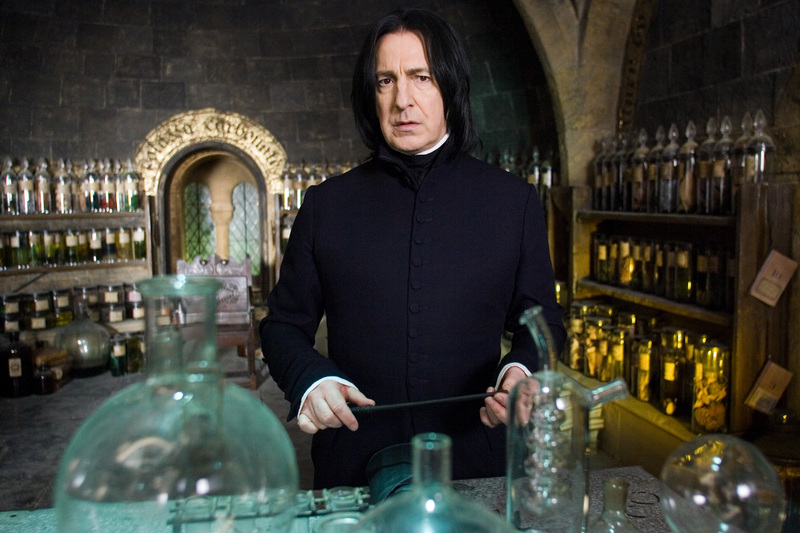 Unfortunately, early on in my scholastic career I met with a math teacher from the Severus Snape School of Instruction by Intimidation and my brain shut down to anything that was designated math. This was in fourth grade, so yeah. I have some catching up to do. Now in my very late thirties, I am realizing just how much I have shot myself in the foot by believing this. It took a university course entitled “Math for elementary teachers” with an awesome teacher who could explain things to me in a way where I actually understood for me to realize that I could actually “do” math. It was a revelation! I am also shyly interested in science and the more philosophical side of math (ideas of different geometries and such) but always felt like I really had no business thinking about those high-falutin’ ideas because I could not possibly understand that theory behind them. If I do anything in life, it will be to try and dispel this kind of thinking in my own daughters as well as any young person. Who says you have to be good at math to code? From my very shallow forays into the vast sea of programming, it seems more like learning a language than math. Yeah I know. Math is also a language. But I wish someone had mentioned to that me earlier in my life. If I could have viewed it as such, it might have been less scary for me, as the flip side of the “bad at math” coin is that I feel I am pretty good with language. I have been taking about 15 minutes a day to learn to code. (I like the 15 minute thing- it means that I do a little everyday and it isn’t so daunting). Hmmm. I do love me a good badge! 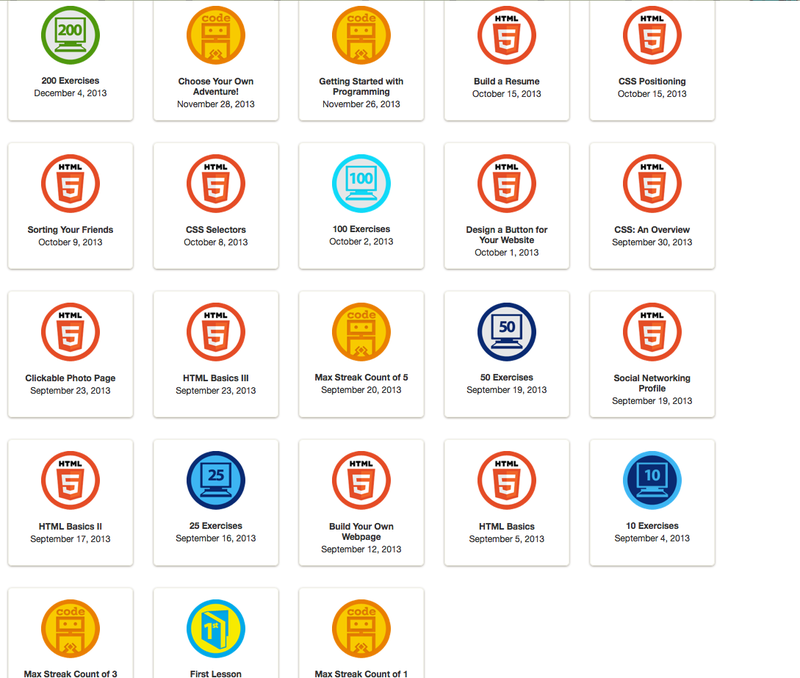 Although Code Academy is a great start, it doesn’t allow you to play around very much. Ever practical, I wanted to see how I could put my new skills to good use. 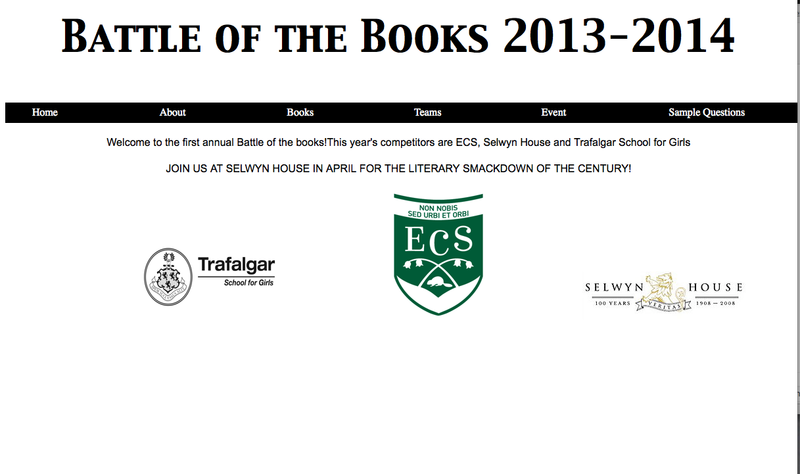 I am in the middle of building a practice website for the upcoming Battle of the Books. As you can see, I am very proud of myself. Myth #3: Programmers or coders are socially awkward, chubby males who live in their parents’ basement. Where are all the cool hacker chicks with great hair and funky outfits? They are working for Google. Or Ubisoft. Or Facebook. But they certainly aren’t on TV, which means there is no one out there to represent women in the profession. I just had a meeting with two cool, young hacker girls (one works for Google, the other teaches computer science). They were telling me that the concept of working in your little anti-social bubble couldn’t be more wrong. In fact, it is one of the professions where leveraging the knowledge and support of their peers is not only encouraged but essential. They are in constant contact with their team mates but also with the people working on different aspects of a larger project. Think about Google and its vast online omnipotence. Then think about how many little worker ants it takes to make the Google kingdom run. Now that I think about it, my profession, librarianship, is way closer to the coder stereotype. For instance, I can spend a whole day not talking to anyone if there are no classes in the library (which suits my personality if not enabling certain anti-social tendencies). Myth #4: There is no creative aspect to coding. If coding is a language, then once you learn it you can manipulate it to tell any story you want. You can make a website. You can make an interactive game. You can make 3D renditions of actual spaces or an app that connects volunteers to charitable organizations. The possibilities are endless! 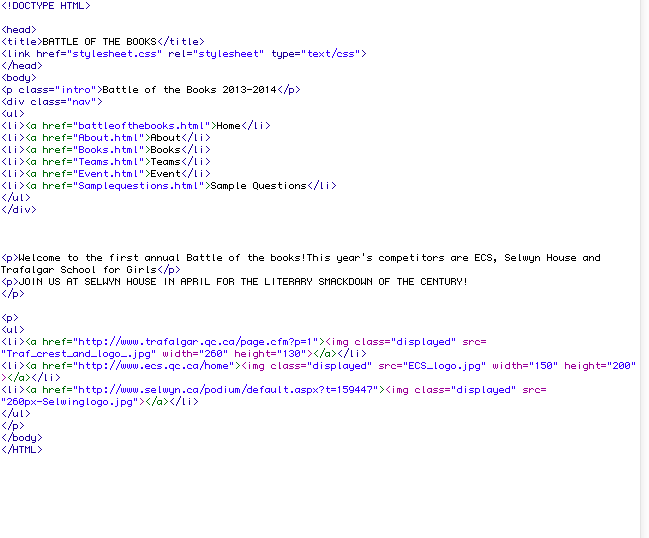 I heard a woman argue on the CBC show Spark that Coding should be taught as a liberal art. This would definitely help to dispel the myth that coding is only for the highly unimaginative, left-brained dominated folk. From a self-image (fallacy of innate ability or, in most cases, innate inability) to a profession image problem, the above myths are going to have to be blasted out of the water if we really want to get the attention of our young people.